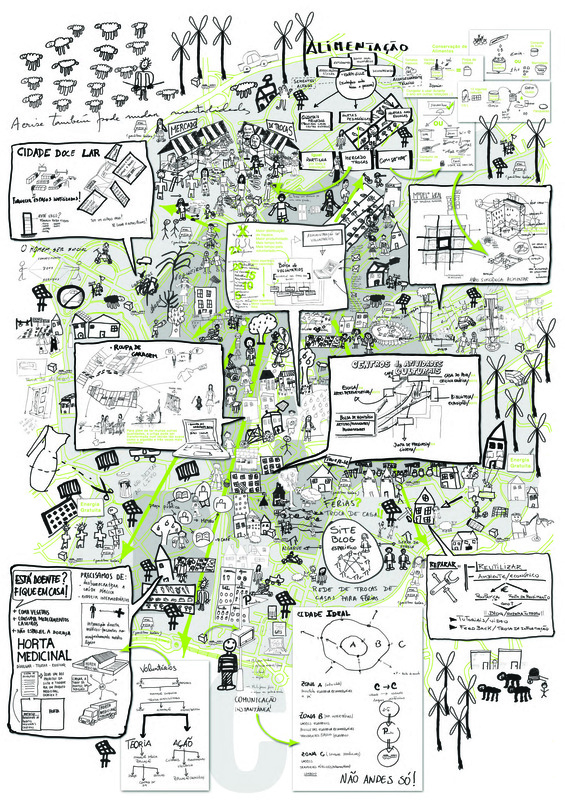 Here is the poster we designed on the basis of all the drawings we collected from the workshops in which in total 87 people participated. 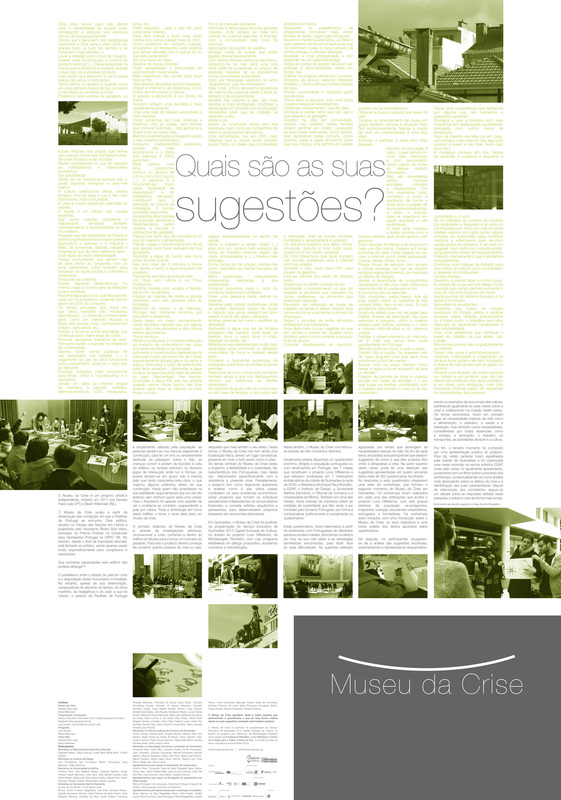 This poster was spread all over the city of Guimarães, so the participants could all see the result and comment what their work and input led to. Hope you are as happy with the result as we are! You can click on the images to enlarge them (click, new page opens, click on it again to be able to read). Keep in mind, these images are big, around 10MB each, so be patient and give them some time to load. Below we also included a link to the PDF (60MB). We encourage people to download this poster, print it and spread it. Also spreading it online is very much welcomed, note that the poster is issued under a Creative Commons Licence. The text on both front and back are at the moment only available in Portuguese, but the drawings should give you the gist of it!